Solar power continues to have a big impact on the global energy landscape, especially in emerging markets. While the slow demand and widespread oversupply of 2016 is likely to continue in 2017, falling system prices and new procurement methods will continue to create long-term growth. Even though direct incentives and feed-in tariff programs are on decline around the world, GTM Research counts 33 national markets where tendering or auction schemes are in place and an additional 14 markets where there have been discussions about or plans made for them. As tender systems become universally established from government and non-traditional sources, downward pressure on prices is likely as a virtual price ceiling is established for unsubsidised solar. While this decentralised and interconnected vision won't work for everyone, more and more homes are deciding to sell power back to the grid or leave it altogether. Areas with excessive sunlight are increasingly selling power to those with less generating capacity, using a framework that gives consumers, neighbourhoods, and cities more control over their own power. With more people expected to purchase solar panels in 2017 rather than lease them, direct ownership is likely to reclaim its position as the leading solar financing model for the first time since 2011. GTM Research expect customer-owned systems to account for more than half of all residential capacity additions in the US residential market in 2017, with this percentage likely to increase further and spread into other markets in coming years. The PV market was up 25 percent in 2015 to reach a global total of 227 gigawatts - 10 times bigger than the capacity of a decade earlier. While China, Japan, and the United States were responsible for most of this capacity, emerging markets are now needed to create long-term global growth. 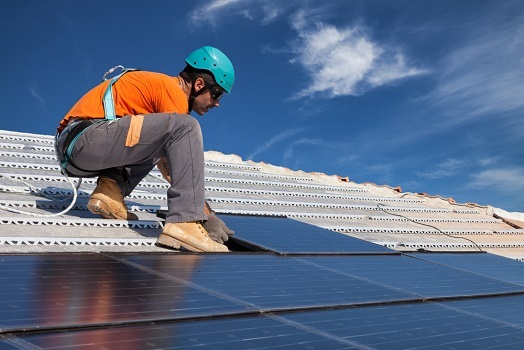 Rooftop solar is making a big splash in the Middle East and South Asian markets in particular, with more than 200 gigawatts of planned capacity to be added over the next decade. "We are at a point where solar energy is clearly at the centre of the UAE's electricity plans, and we are beginning to see rooftop solar play an important part in this growth," said Sami Khoreibi, CEO of Abu Dhabi-based Enviromena, adding "This will fundamentally change the way we think about electricity in the region."